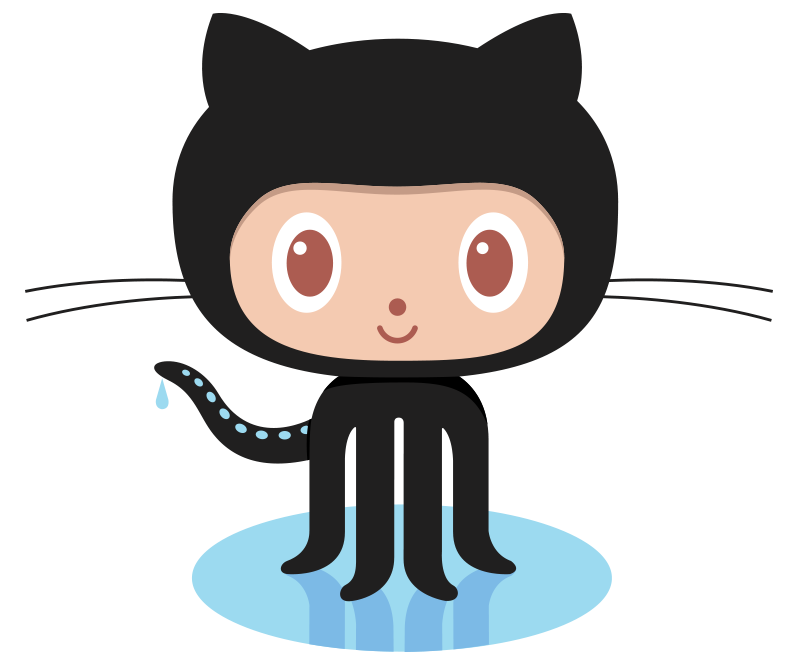 Where is the add-in after activation? 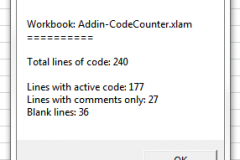 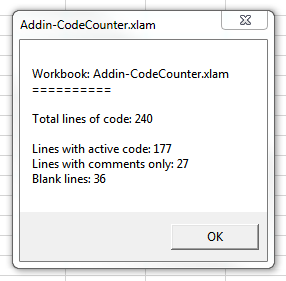 "Developer" tab, new group "Add-in Code Counter"
The tool is shipped as an add-in for Microsoft Excel (.xlam). 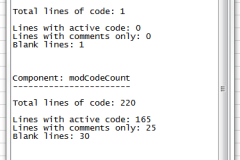 After installation and activation a new group “Add-in Code Counter” is added to the “Developer” tab. 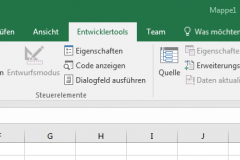 Download version 1.1 – it´s free!